Think tanks have become essential vehicles of business propaganda and policy marketing. Rather than just react to proposed government policies, in the 1970s US corporations began to more actively initiate policies and shepherd them through the policy-making process till they became government policy. Think tanks enabled them to do this. 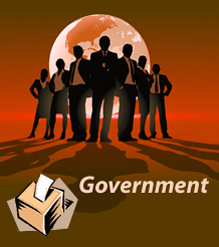 The more government was attacked and its role reduced, the more freedom and opportunities were provided to business. British Think Tanks IEA	CPS	Adam Smith Inst. Reference: James A. Smith, The Idea Brokers: Think Tanks and the Rise of the New Policy Elite, New York, Free Press, 1991, p. 222. In most English speaking countries, conservative think tanks have been influential in promoting a conservative pro-business reform agenda and ‘widening the parameters of ‘respectable’ opinion.’ As a result free market ideas have come to dominate all policy issues. James McGann, 'The Think Tank Index', Foreign Policy, January/February 2009.